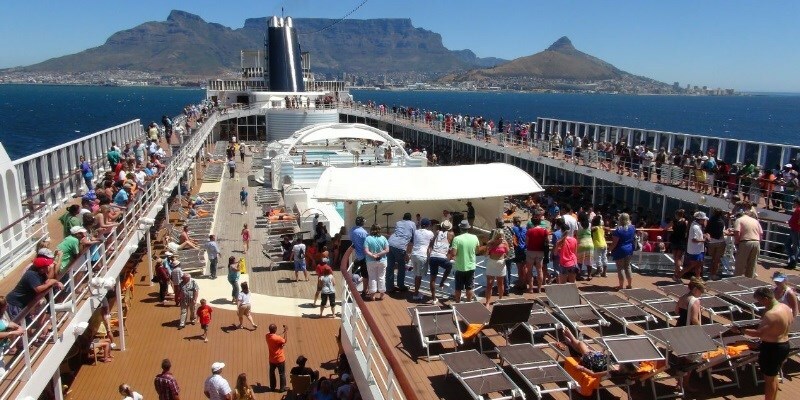 Cape Town is seeing an increase in cruise tourism, as a total of 17 518 people disembarked in the city between October and January 20, from vessels carrying a total of 6 562 crew members. January marks the peak of cruise ship season in Cape Town, which traditionally runs from October to April, and this month vessels have made a total of 17 stops at the city. According to Schäfer, the province’s aim, through Project Khulisa, has been to grow tourism as a vehicle to stimulate the economy and create new jobs, and cruise tourism is enabling the province to meet its objective. “The Western Cape tourism industry currently sustains over 300 000 direct and indirect jobs, and by increasing the number of cruise liners visiting Cape Town, we can create further opportunities for work and skills development,” she said. The Cruise Lines International Association estimates that a total of 30 million people are expected to cruise in 2019. “South Africa, and in particular Cape Town, has the potential to grow our reputation as a unique and new cruise destination,” commented Schäfer. The development of a dedicated cruise ship terminal operated by the V&A Waterfront, which opened last year, has played an important role in being able to grow this offering, according to Schäfer. “We’ve seen cruising numbers grow in leaps and bounds in recent years and we’re seeing dramatic increases in numbers for the coming 2019/2020 and 2020/2021 seasons,” she added. For the 2019/2020 season, 30 vessels are expected to make 49 stops in Cape Town. While for the 2020/21 season, 32 vessels, with 67 stops are already confirmed. “The Waterfront has reported that they’re starting to see people flying into Cape Town specifically to board cruises. This, in turn, adds value to our other tourism offerings, as these guests often book hotel stays and make use of other tourism facilities while in the city. Similarly, some vessels are doing crew changeovers in the city, meaning that the inbound and outbound crew members also make use of hotels and other facilities while in the city,” concluded Schäfer. Among the luxury liners that have visited the city are the Queen Elizabeth, the World Odyssey, the Europa 2, the Seven Seas Explorer, Nautica, and Amadea. The MSC Musica, which had to hold off on docking as a result of rough winds last week, was finally able to dock on Saturday morning (January 26). The Ocean Dream, also known as the Peace Boat, also docked in Cape Town over the weekend. Vessels that will still be calling this season include the Queen Victoria, the Silver Cloud, the Pacific Princess and the Viking Sun.